The Glory Barn – Enjoy a time of fellowship, food, fun and great gospel music in an informal country setting. The Glory Barn is a personal ministry devoted to our Lord Jesus Christ. We share His love through a community outreach where we share gospel music, good food, great fellowship and fun for all ages. We are located on Harstine Island, near Shelton, Washington. 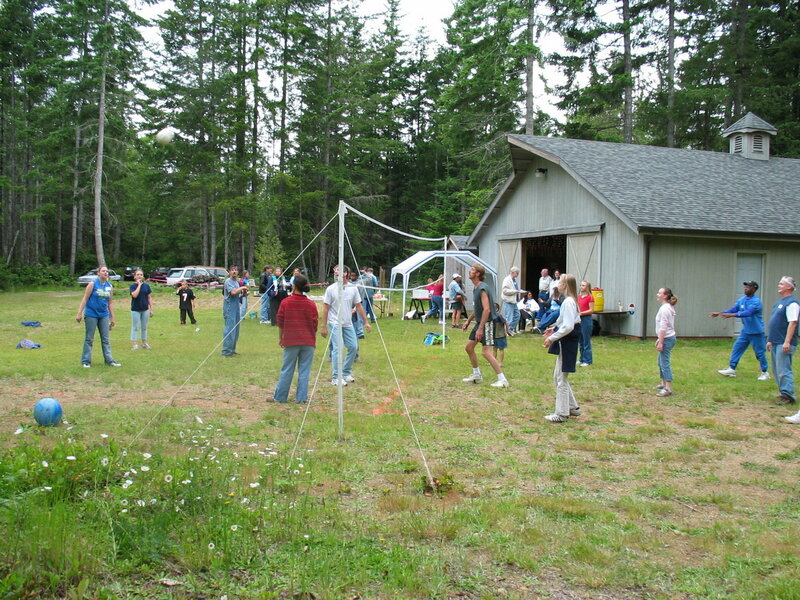 Since 2002, the Glory Barn has been hosting a Gospel Potluck each month during warmer weather, typically May through September. Attendance varies between 40 and 100 per event with young and old enjoying themselves in this peaceful country setting. Gospel Music is provided by those attending – we have professional audio facilities for singers and other musicians. We offer a non-threatening atmosphere to encourage less confident performers to share their musical talents for the Lord. Is there any significance to the name? God has a sense of humor and maybe He gets tickled by saving people in unusual ways. My friend Toni tells a story from the move of God fifty years ago in Mason County, Washington. People met in the ‘Glory Barn’ on a dairy farm along Goldsborough Creek in the town of Shelton. One of the local mockers of the movement happened to be passing the Glory Barn during a meeting. He left his family in the car and sneaked up to the building to see what these holy rollers were doing. He thought he could get a few laughs with the boys at the barbershop if he had an eyewitness report for them. He was peeking through a knothole in the barn-board wall when the Holy Ghost hit him! He was saved and led many of his family members and friends to Christ. Our goal is to offer a venue where people can come for a fun, relaxing and non-threatening time, meeting believers and enjoying Christian fellowship. While here, we pray that their hearts will be open to God’s leading. If they are already a believer, we want the fire of the Holy Spirit to ignite their spirits to an even greater relationship with Him. If a person is not yet a believer, we want the Holy Spirit to touch them and woo them into a full, faith inspired relationship with the Living God!